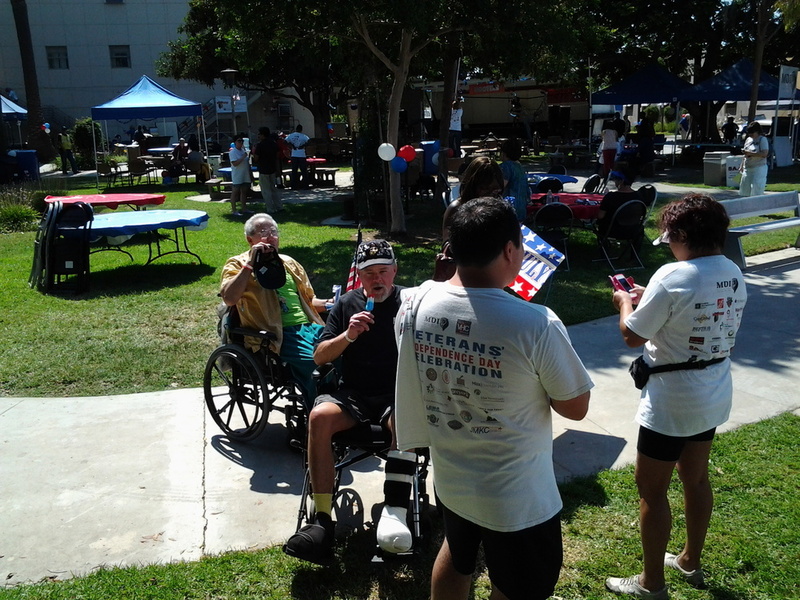 I received an email on the 3rd of July that ice cream was need at the VA Hospital adjacent to CSU Long Beach for the 4th. They were expecting 2,000 people, and we made it happen. 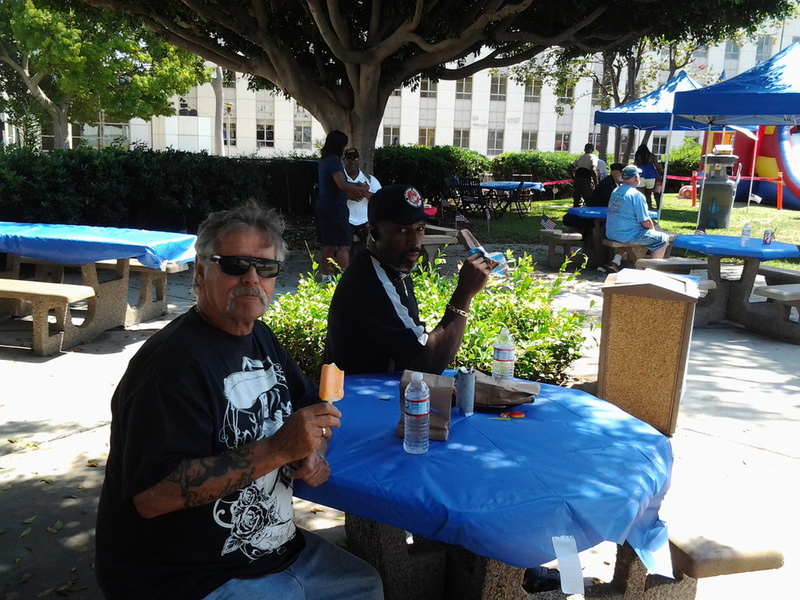 Everyone got served pops and ice cream including a few hundred Ben & Jerry's. 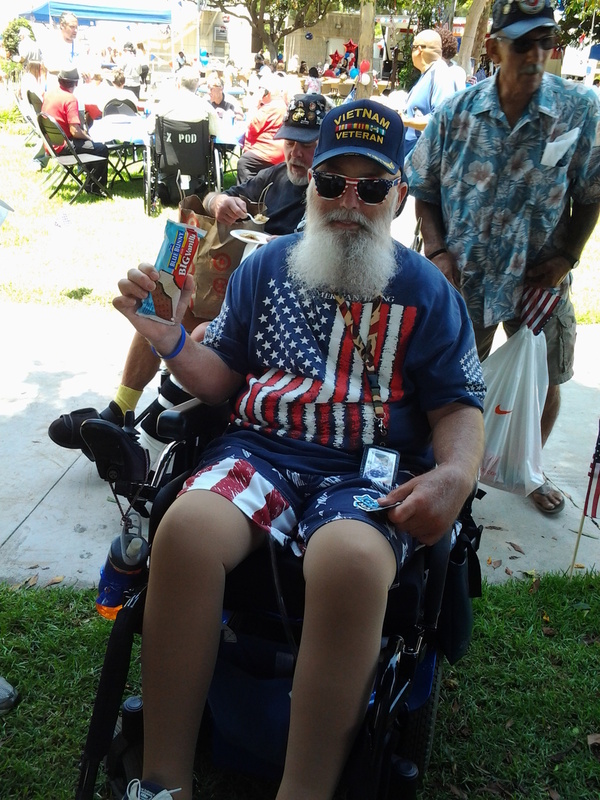 MDI pitched in to help us purchase over 1,500 other choices, and we made veterans, their family members, and the volunteers very happy. I had several young volunteers helping me throughout the day including my own kids. Holly, Kayla, and Devin were young ladies that I met that day that came to the VA to serve, and I'm glad they had the opportunity to sling some cream.